I’ve had multiple occasions this year to reflect on the passage of time: 2014 marks 35 years since I went to college (and never left—though I can’t say I wasn’t warned), and 25 years since I completed my doctoral degree and took my first faculty job. For the record, I was a boy genius, though it wore off. And now, word has reached me that the Internet Public Library (IPL), which I wrote about in the last issue, will no longer be supported at the end of this year. The news means that IPL will just miss making its 20th birthday next March 17 (the happy coincidence of my Irish heritage and a convenient Friday deadline). IPL started in a graduate seminar I led and then took on a life of its own, helped by many willing, kind, and generous hands along the way. Obsession. That initial group worked its tail off to build something people could be proud of. Not for me or for a grade but rather for the wider community and for themselves. They pushed and supported one another and had the experience of a lifetime, putting together the first globally available reference service, a fantastic collection of resources, a beautiful and appropriate design, and the only thing I insisted on: a story hour, all with humanity, good humor, and professionalism of the first order. In 10 weeks. For two credits. Later generations added their ideas and insights and passion and left it the better. A well-written press release. 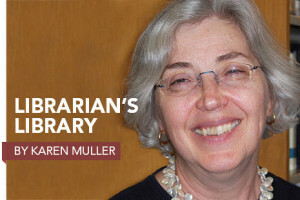 “Bold initiative heralds the creation of tomorrow’s library today.” Potent stuff; it got a lot of attention online and raised the stakes for the work. I don’t mean to imply that the press release was all it took; far from it. The work was superb, thoughtful, an innovative, and that is what really carried the day. However, the marketing piece was important to get that initial attention, and it reinforced for all of us just how critical advocacy and marketing can be. Engaged infrastructure. The students interested in working on the technological and design components quickly realized they shouldn’t be a separate, detached group; instead they decided to be embedded within the functional units and work together to achieve those groups’ ends. An unobvious, and yet critical, decision that made a huge difference throughout. So let me conclude with profound gratitude to Maurita Holland, Eileen Abels, and all the people at Michigan, Drexel, and the iSchools caucus who have nurtured and kept IPL going for so long. Gratitude as well to all the students who have worked on it for years, most of whom I never knew, and for whom I hope it was a valuable experience. And to my IPL students over the years, particularly that initial group of 35 who made it all happen: one, final, thank you. We changed the world for the better and helped people and the profession to think about libraries and librarians in a new way. I learned more than you did, but we all came out pretty well in the end, and I know for a fact that any notoriety I’ve gotten, this column included (now 12+ years! ), started with you. Which makes this announcement a tad more poignant. I’m stepping away from the column for a little while. If you don’t already know why, you will shortly. The good people at AL say they’ll hold the space for me, so I’ll be back eventually, one way or another … but that’s another story. 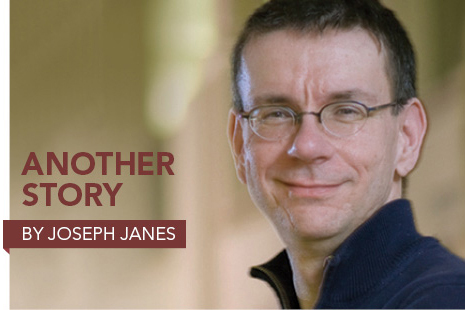 JOSEPH JANES is associate professor and chair of the Information School at the University of Washington.